Richard Meehan, M.D. 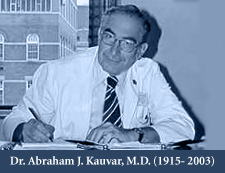 has been chosen by Lynn M. Taussig, M.D., President and CEO of National Jewish Medical and Research Center, as the recipient of the 2003 Abraham J. Kauvar Presidential Award. Dr. Taussig, in making this nomination, provided the following tribute to Dr. Meehan:"Dr. Richard Meehan has been selected for the A. J. Kauvar President's Award for several reasons. He has revitalized our Clinical Rheumatology Program and clinical research initiatives in this area; he has fostered referral of patients from physicians in the community; and, in spite of being a relatively new faculty member, he graciously agreed to co-chair the Institutional Review Board (IRB), a demanding and time consuming administrative commitment."